WHY HAVE A FIRE ALARM SYSTEM? Fire can kill – Regency fire and Security Ltd can keep your home and businesses safe! 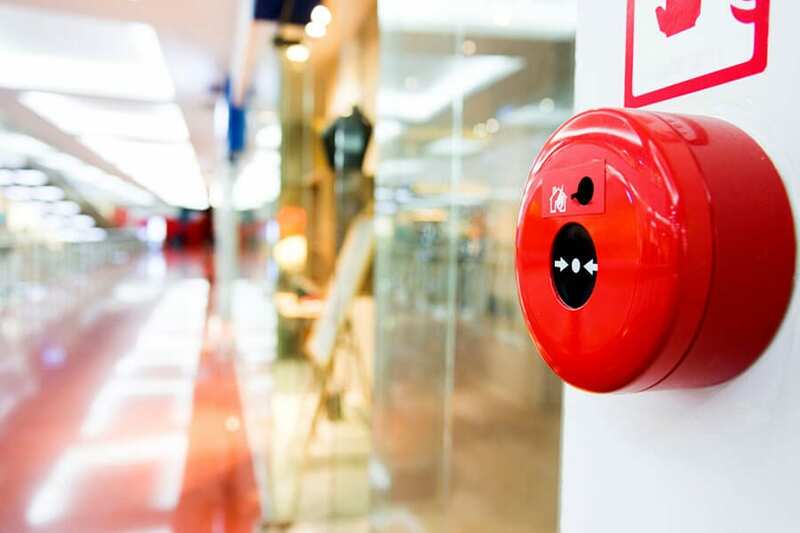 An addressable fire alarm system is essential for your business safety. An addressable fire alarm means all devices linked to the system (such as smoke detectors) have an ‘address’ or location. This means if a device is triggered, the addressable fire alarm panel will show exactly which device it was and where it is located in the building. Fire detection devices are individually connected to conventional fire alarm panels using wires. If a connected device detects signs of a fire (such as smoke or heat), it will send a signal to the control panel and set off the alarm. The panel will show you which ‘zone’ (or area) of your building the fire has been detected. Wireless smoke detectors offer you the same high level of protection provided by wired devices. Although they look and work the same, they can be a more convenient option. This is because they are powered by batteries, which means there’s no extensive cabling or the requirement to be linked to your mains electricity. Smoke sensor – this fire detector senses for signs of smoke, indicating the early stages of a fire. Heat detector – this device senses for sudden rises in temperature which could be caused by a fire starting. Multi-sensors – this is an optical/heat multisensor which can be used to protect against many types of fire risk. The other is a carbon monoxide/heat multisensor which protects against both smoldering fires and those generating heat. Carbon monoxide detector – just like fire detection, this device senses for any sign of dangerous carbon monoxide gas that may be caused by a leak – a must in any property. Optical detectors – sense for slow, smoldering fires. Manual call points (Breakglass) – These devices allow anyone spotting a fire to activate the fire alarm by simply pushing the glass on the front of the unit. Intelligent reflective beam detector – When smoke is present in the beam path the light registered by the receiver is reduced by an amount dependent on the density of the smoke. Audible Devices – fully programmable high output stand alone and loop powered electronic sounders and include many features such as Voice, selectable tones, volume control and Coloured strobes. Interfaces – Are used to link to many types of plant and building management systems as well as Dampers, Smoke Extractor vents, security systems and remote signaling devices. Regency takes your fire protection needs seriously and we are committed to providing you with a first class service. We specialise in providing all the fire protection services you need to fulfill your responsibilities, stay compliant and minimise the risks of fire. We design, install, take-over, upgrade, maintain and monitor a range of affordable fire open protocol detection systems to alert you to the earliest signs of fire. We adhere to British standards and specialise in advising on the right systems and equipment for your specific needs. With over 20 years of experience in the fire industry, we pride ourselves on our reputation and with high levels of technical competency, professional working practices, and ethical conduct, our clients can be confident in our quality of service. Our systems and solutions are for the protection and safe evacuation of building occupants in the event of a fire or emergency situation. Based in Gloucestershire we are suitably located to provide prompt, market-leading response times and reliable support across Gloucestershire and the surrounding areas. If you have a burglar alarm system, we can integrate smoke alarms heat detection to create an equally effective fire alarm system for your property. When linked to an alarm system, each detector represents a ‘zone’. 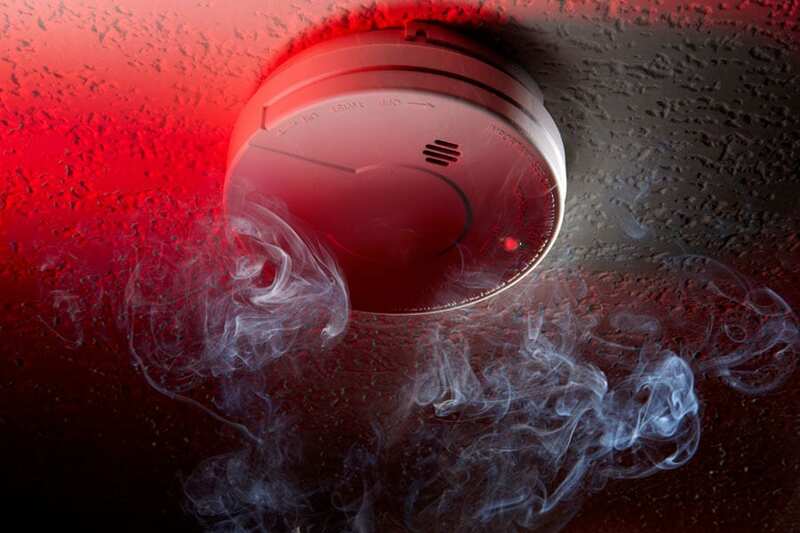 If a fire is detected by a smoke detector, it will cause the alarm system to activate. Our comprehensive range of fire detection systems includes door retainers, acoustic door holders and much more which can keep you safe from the serious risks of fire. They are designed to detect the signs of a fire as quickly as possible. We can supply and install a range of devices for fire detection which together can form a great value fire alarm system. How often should the system be tested? Weekly, quarterly, biannual, annual maintenance available. Our fire alarm service extends to 24-hour monitoring – every second is precious so this is an absolutely essential measure to ensure you are notified immediately in the event any signs of fire are detected. Working on all the leading fire alarm panels such as Notifier, Gent Vigilon, Advanced, Morley, CTec, Kentec. We at Regency Fire and Security can also link your fire alarm system to the local fire brigade via an alarm receiving center. We offer 24hr hour callout facility. Small or large, your request will be met with expert advice, individual attention, and innovative solutions. Regency Fire & Security has a commitment to professionalism, quality, and the highest standards of service and to give you our partner total satisfaction.